Can’t be bothered to add fresh content to your site? | Don’t have the time to blog? I Don’t have the expertise to maintain it? Don’t worry I can save you hours by expertly maintaining your website for you, whether I built it or someone else did. When I maintain your website, I don’t just update plugins and keep it backed up and hacker free, if you like I can also include online marketing (SEO, CRO, content marketing, email campaigns, social media posting, creating Google and Facebook ads and more). I am the extra pair of hands you need so you can get on with building your business empire! Adding 1 new page or blog post (or updating an events or calendar page). You must supply the text and up to 5 images. Post about new page/post/event on Facebook, Google+ and Twitter. Write one (1) blog post up to 300 words, relevant to your business. Create 1 new web page or blog post with copy writing up to 300 words and 1 stock image included – subject matter relevant to your business to attract new leads, Add videos and graphics as needed. Add up to 2 plugins as needed (a plugin is a piece of software containing a group of functions that can be added to a WordPress website) they can extend functionality or add new features to your WordPress website. Tweak the copy and make seasonal updates to headers on your website, such as Christmas, Valentine’s or other seasonal promotions. Weekly Google Analytics report to show you how much website traffic you are receiving and where the traffic is coming from. One A/B testing campaign for testing effectiveness of email subscription set up or page copy or image. A rockstar VA can change your life, giving you back your day so you can work on tasks that will take your business to a higher level. I have a valuable skill set and I’m passionate about all things digital, so together we can be a great team! 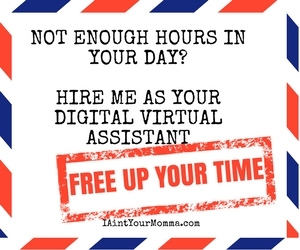 I am a solopreneur using the digital world to generate my own leads and so I can also help you generate yours too. I’m a highly skilled professional offering business support services virtually, which means I am located off site and work remotely. As an independent contractor I am responsible for my own book-keeping and taxes, I use my own computer and software, so you are saving on the expense of hiring a full time employee and buying office space and equipment.